What is the Maine Federation of Humane Societies? We are a cohesive statewide network of humane organizations working to support animal welfare groups promote the adoption of homeless animals and responsible pet ownership, and to end pet overpopulation and animal cruelty through education, outreach, and advocacy. 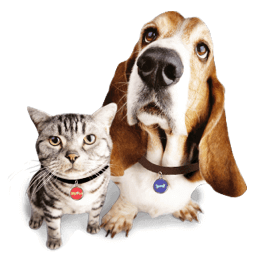 We are companion animal welfare advocates from Calais to Caribou, Kittery to Ft. Kent, and Wells to Waterville – the Maine Federation of Humane Societies serves the entire State of Maine. Founded in 1953 and incorporated as a nonprofit organization in 1980, we are Humane Society Executive Directors, Animal Welfare Facility Managers, Shelter Board Members and private citizens. We represent companion animal welfare organizations, humane societies, animal welfare and rescue leagues, animal shelters, and private breed rescue organizations. Recognizing that animals raised for food may be subjected to many forms of cruelty and inhumane treatment, the Maine Federation of Humane Societies has committed itself to serving only vegetarian foods at any events that are sponsored or funded by MFHS.